Munich, a city of great beer, great meat and a great number of people wearing lederhosen. With just those three things, the capital of Bavaria is already my kind of place. But, there’s so much more to the city including great galleries, globally diverse dining, quirky dive bars and Renaissance architectural gems which won me over. 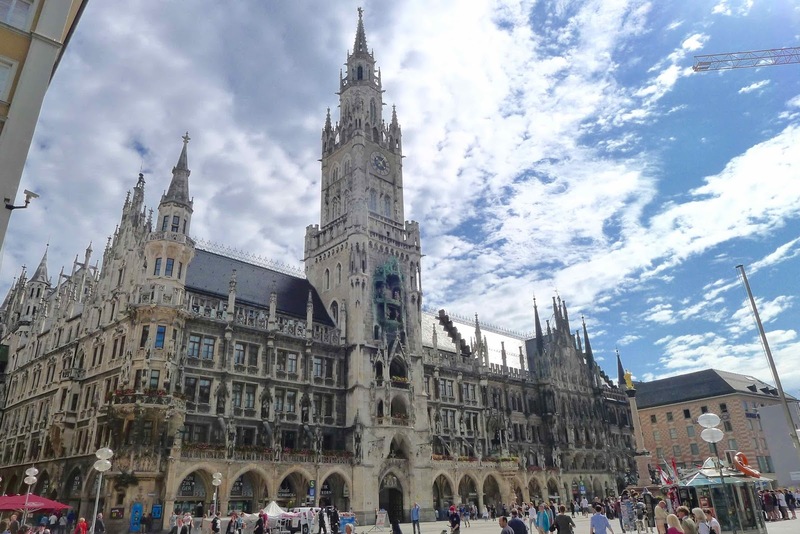 We visited Munich for a short break over the bank holiday weekend, taking flights from Cardiff Airport. The Kings Hotel Center, with its enjoyably kitsch four-poster beds and slightly terrifying paintings, was a good base for our trip. It's located three minutes walk from the main train station and twenty minutes from Marienplatz. With seating for 5,000 people, the vast Augustiner-Keller beer garden is shaded by a clutch of chestnut trees. 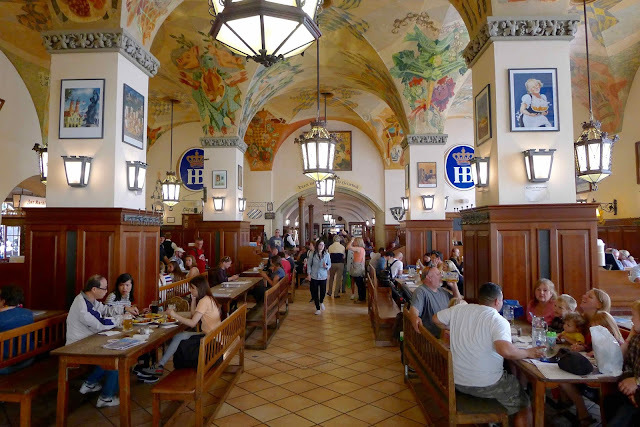 Grab your stein of Augustiner beer from a serving hatch and pay for it at one of the rather nifty checkouts. 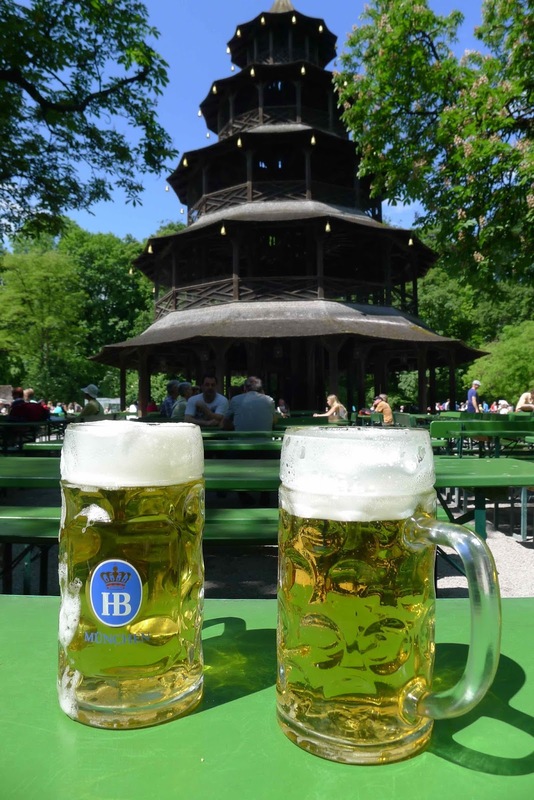 Located in the heart of the picturesque English Garden, the Chinesicher Turm (Chinese Tower) provides the back drop for a humungous 7,000 seater beer garden serving Hofbräu beer. Hofbräuhaus is probably the world’s most famous pub. Despite its touristy feel there were still a fair few locals chilling out in lederhosen at the stammtischs (regulars’ tables) and it’s hard to argue with the beauty of the place. 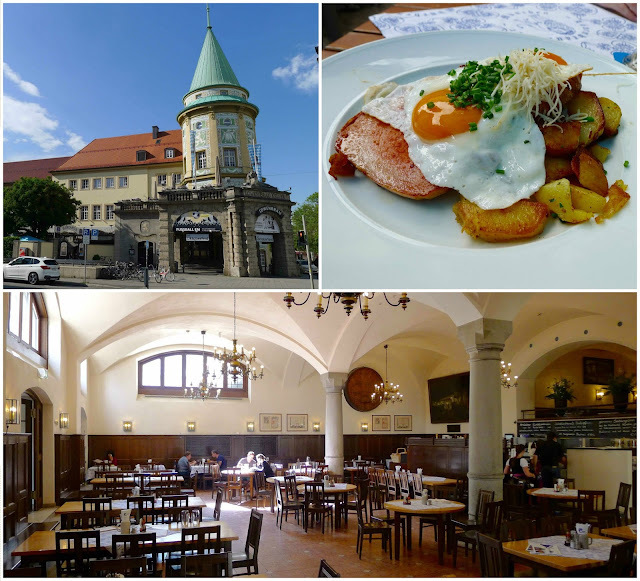 Löwenbräukeller is another beauty of a building with a vast pub and a good-sized beer garden. We enjoyed pints of Löwenbräu and Franziskaner wheat beer. A plate of Leberkäse, a finely ground meatloaf served with fried eggs, fried potatoes and shreds of fiery horseradish provided a welcome afternoon snack. We ate dinner on the first night at Der Pschorr, a grand restaurant located by the central food market, the Viktualienmarkt. 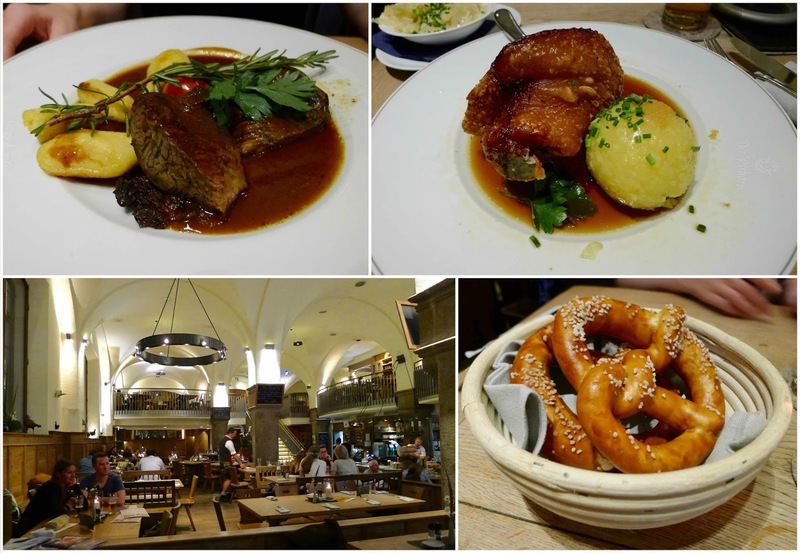 Warm pretzels; crisp-skinned pork knuckle served with a buttery potato dumpling; and yielding beef shin in a deeply meaty gravy were washed down with pints of icy cold Hacker-Pschorr beer. On the second night, we ate dinner at Andechser am Dom, located in the shadow of the cathedral. 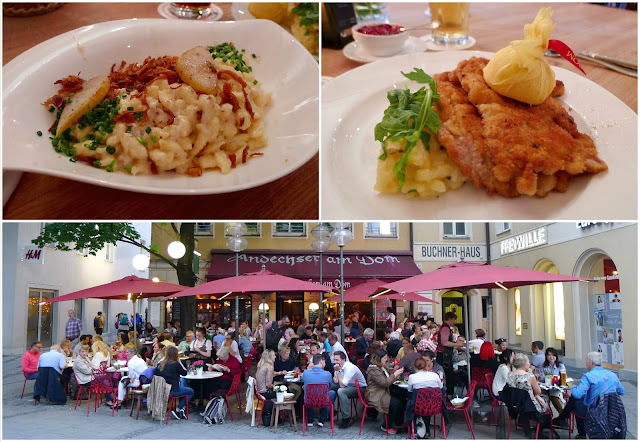 Cheesy käsespätzle flecked with pear and topped with crispy onions were good but paled in comparison to a stunningly good wienerschnitzel with the lightest of crumb and tenderest of flesh. 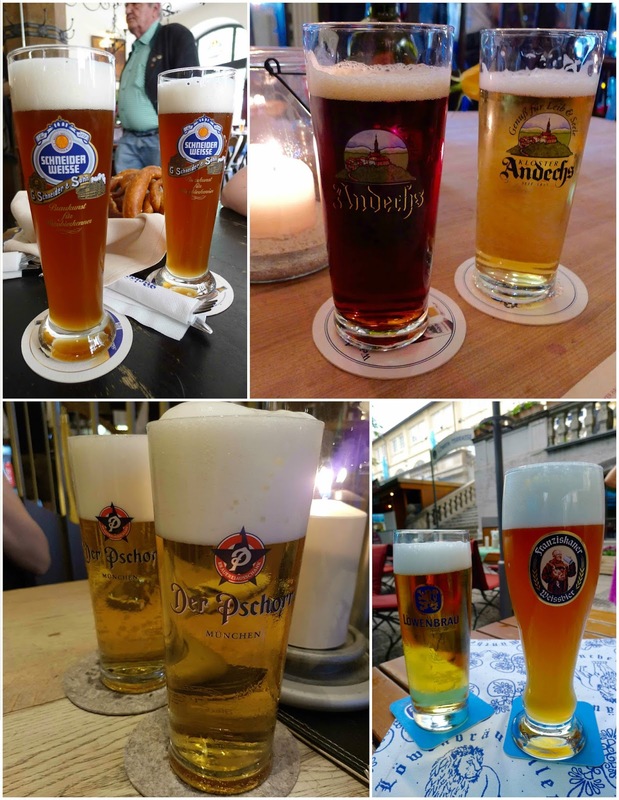 The Andechser beer was some of the finest we drank during the trip. Breakfast was another highlight of our stay. 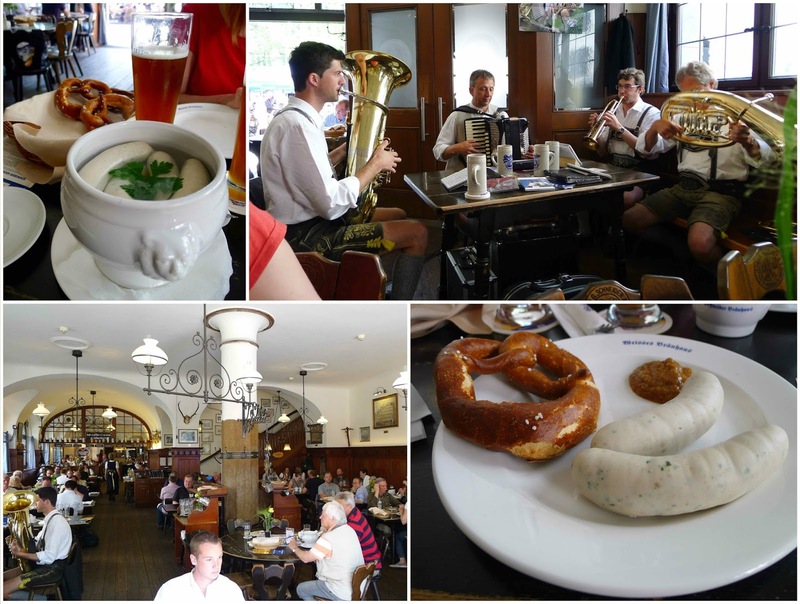 We ate a Bavarian breakfast to the soundtrack of an Oompah band at the Weisses Bräuhaus. Beautiful weisswurst (poached veal sausages fragranced with chive) were served with sweet and fiery mustard and crisp yet soft pretzels. 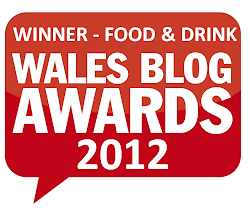 Of course, it’s traditional to wash the meal down with a pint of wheat beer. We also had a stunning breakfast at a quaint bakery called Cafe Frischhut where unsweetened donuts called schmalznudel are served straight out of the fryer (sugar is optional). 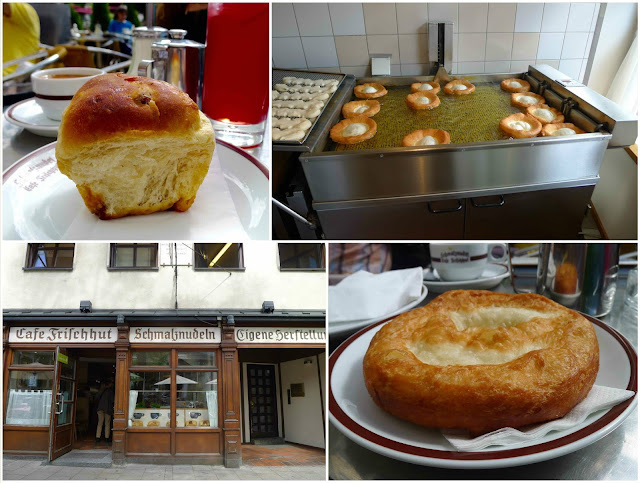 The cafe also does remarkably good panettone-like buns called rohrnudeln. But, we didn’t just guzzle German beer and meat during our trip. Since last November, Munich has had a branch of Eataly, the highly-regarded food hall. 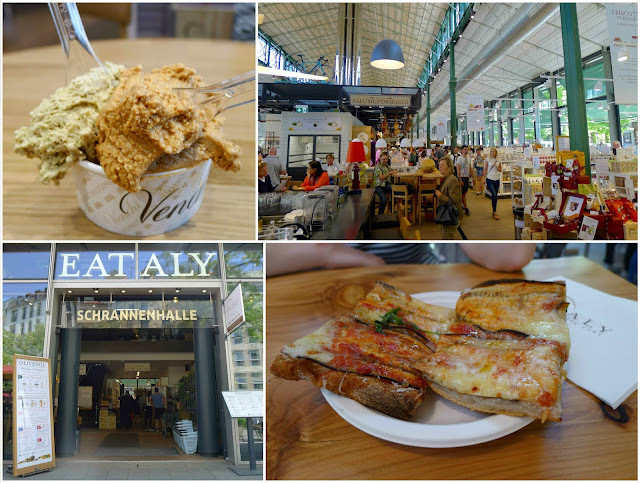 We inhaled free samples of proscuitto and nduja slathered bread and fronted up some cash for some excellent dulce de leche and pistachio gelato from Venchi as well as some decent aubergine topped pizza. 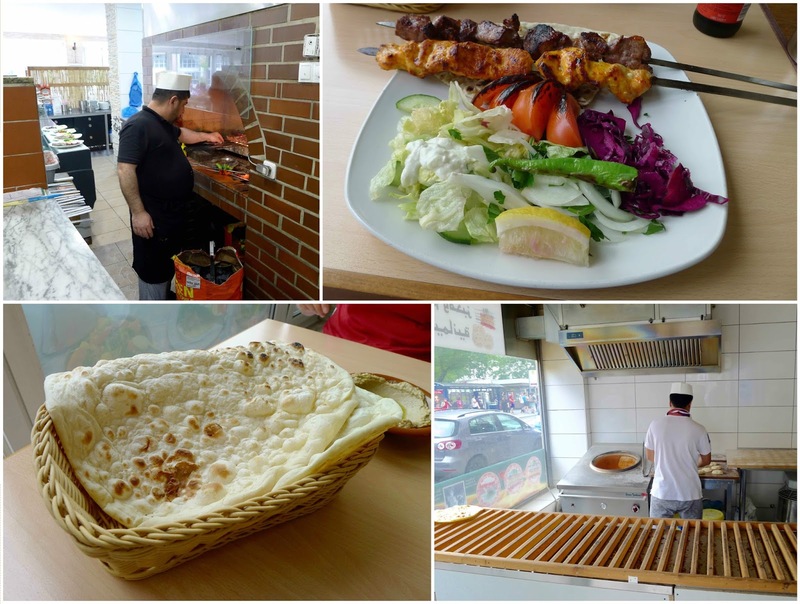 The Slemani Grill have been serving up Kurdistani food since 1957. 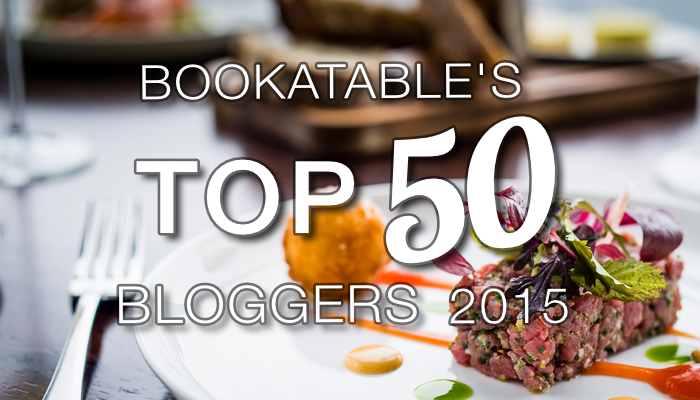 In that time they’ve certainly mastered the art of cooking things with a flame. Chargilled meats and tandoor baked flatbreads were bang on. The slightly shabby Taklamakan serves Uyghur food. Yep, I’d never heard of it either but here’s Wikipedia to help. 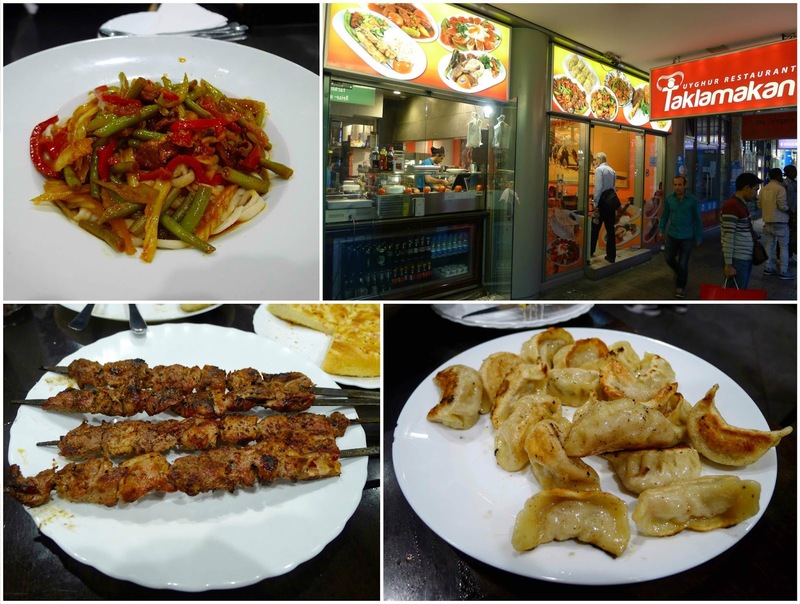 Seemingly a bit Turkish and a bit Chinese we enjoyed freshly hand-pulled noodles served with a well-spiced lamb stew; Uyghur lamb kebabs coated in a salt and chilli crust and lamb and chive filled potsticker dumplings. 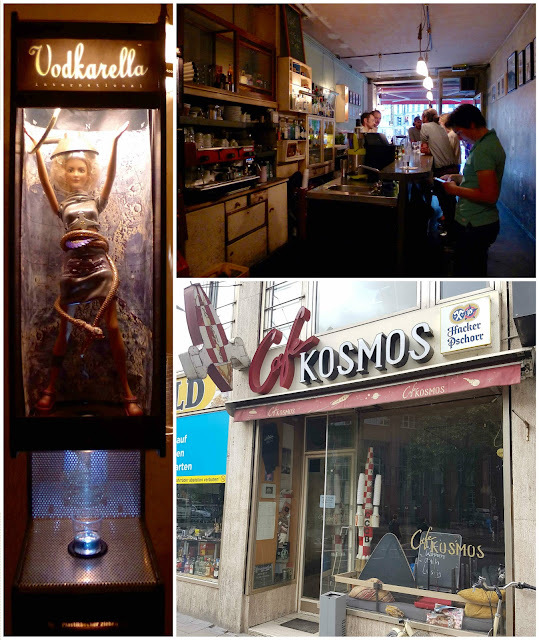 Cafe Kosmos is an enjoyably hip dive bar where the bill for a small beer and mojito set us back a paltry €4. A local artist has also created a couple of weird drink dispensers including Vodkarella who will piss a shot of vodka for €1. Oh yeah, we also had time to do some sightseeing. 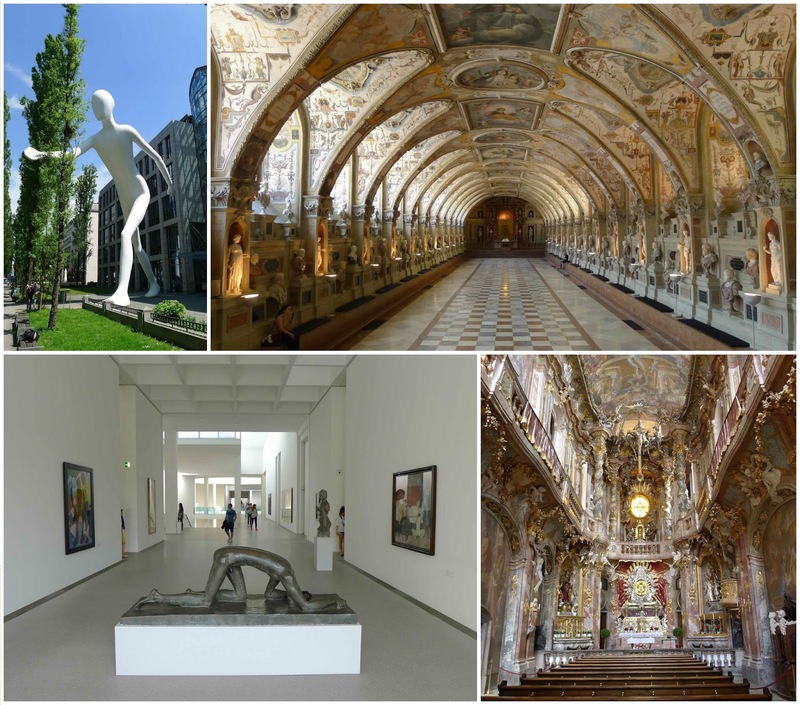 Highlights included the stunning Renaissance Antiquarium at the Residenz Palace, the Baroque frescoes of the Asamkirche, the ornate architecture of the Neues Rathaus and the art and design collection of the Pinakothek der Moderne. 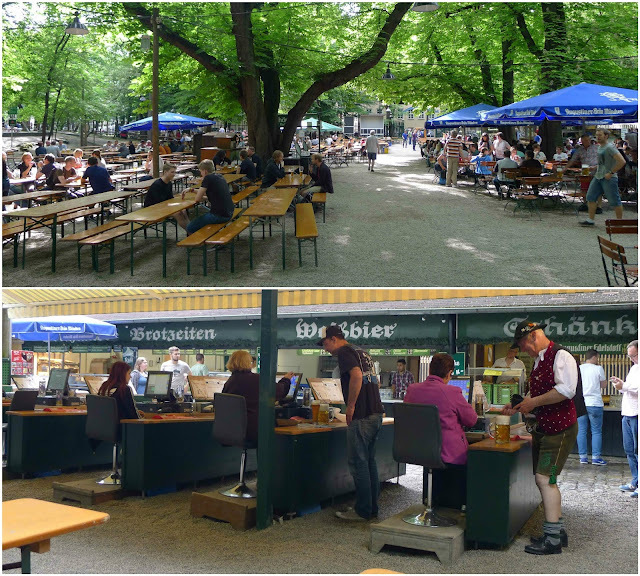 Munich is a brilliant city which more than surpassed my expectations of a lager drinkers paradise. I’d highly recommend a trip. 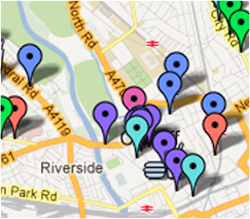 Disclosure - My flights were paid for by Flybe.